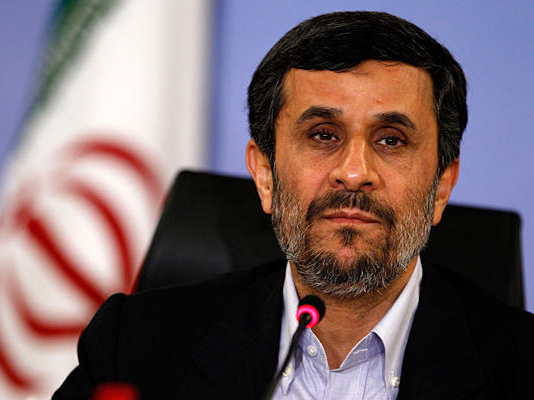 Iranian President Mahmoud Ahmadinejad attended funeral ceremony of late Venezuelan President Hugo Chavez and expressed condolence to his family, IRNA reported. According to the report of Presidential Office website, Ahmadinejad on Friday noon (local time) attended Caracas Military Academy and paid tribute to the late president. He expressed condolence to the Acting President Nicolas Maduro and Venezuelan nation and government. According to the report of Venezuelan Foreign Ministry, 33 presidents, around 50 prime ministers or vice-presidents have attended the funeral ceremony as well as a great number of people who gathered to bid farewell to the late president.